Because getting there is Half the Fun! 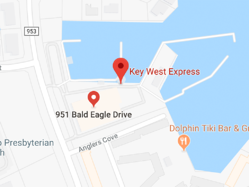 Imagine gliding through the glistening Gulf waters to the vacation spot of Pirates, Poets, Presidents & Party Goers - America's Caribbean island paradise! More affordable than flying, faster than driving...whether for a day or an extended stay, Chill Out, Relax, Enjoy & Explore. 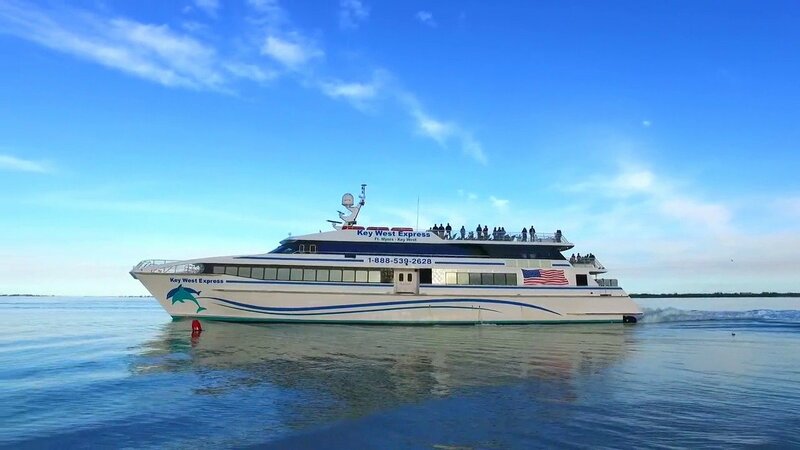 Our jet powered catamarans deliver you to the Southernmost Point of the United States. 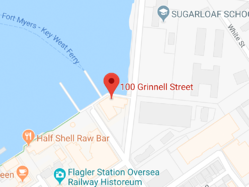 Have your camera ready as you take in the famed arts and entertainment of Duval Street, world renowned fishing, diving and Mallory Squares breathtaking daily Sunset Celebration! For more information about your cruising experience and what you need for your journey, please click here to view the Your Experience page. 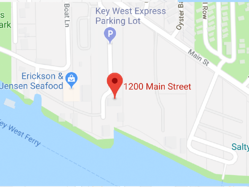 We offer departures from two convenient Southwest Florida locations; Fort Myers Beach (year round) and Marco Island (seasonally) to Key West, Southernmost Point of the United States. Boarding and departure times are subject to change. 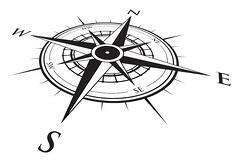 Travel time and actual time on Island varies depending on weather & sea conditions. 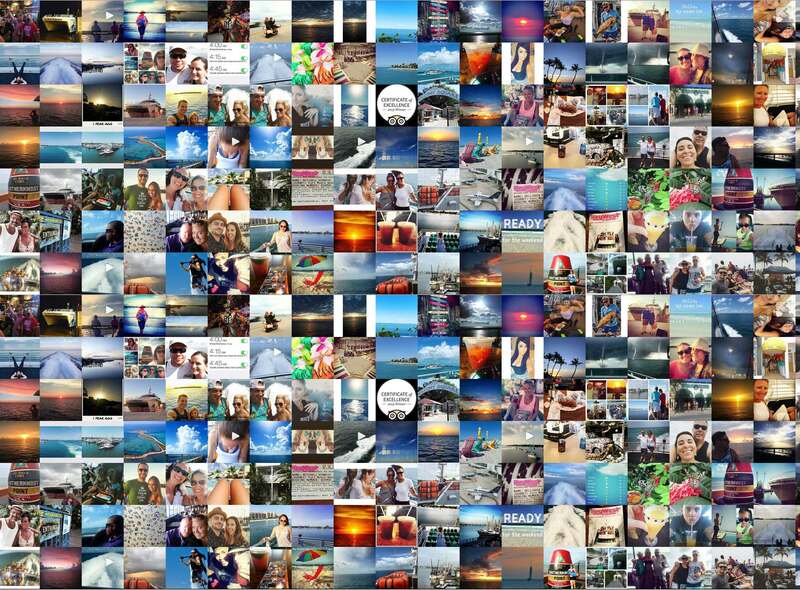 Traveling to Key West is all about creating and capturing new life-long memories. Want to show them off to the world? 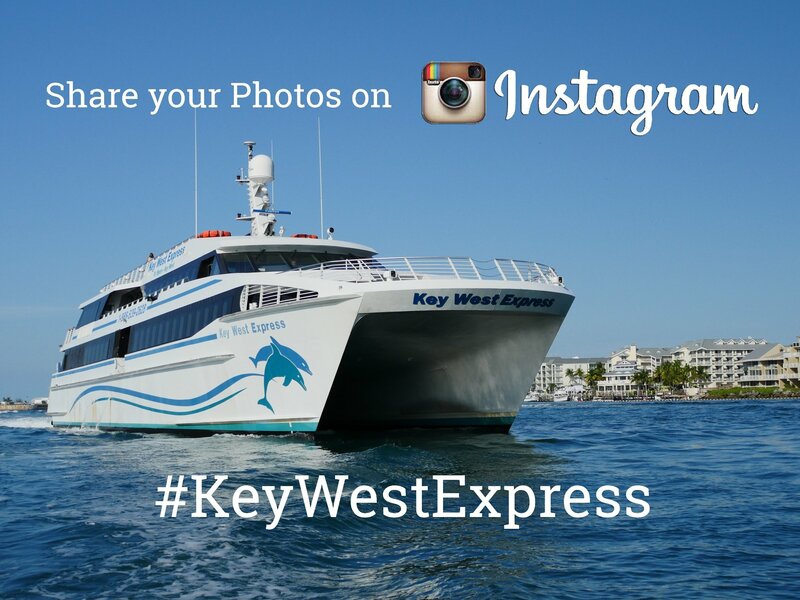 Use the #KeyWestExpress hashtag on Instagram and your photo will show up right here on our site! We have photo stations on our Key West Express ferries so you can show everyone that you travel to Key West in style!